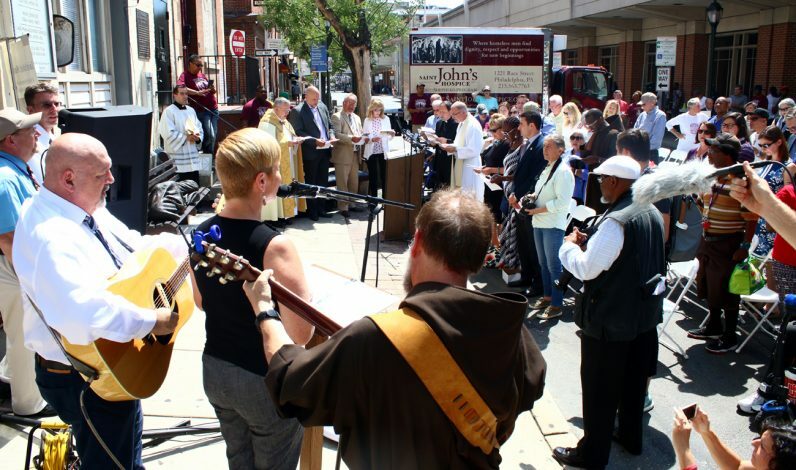 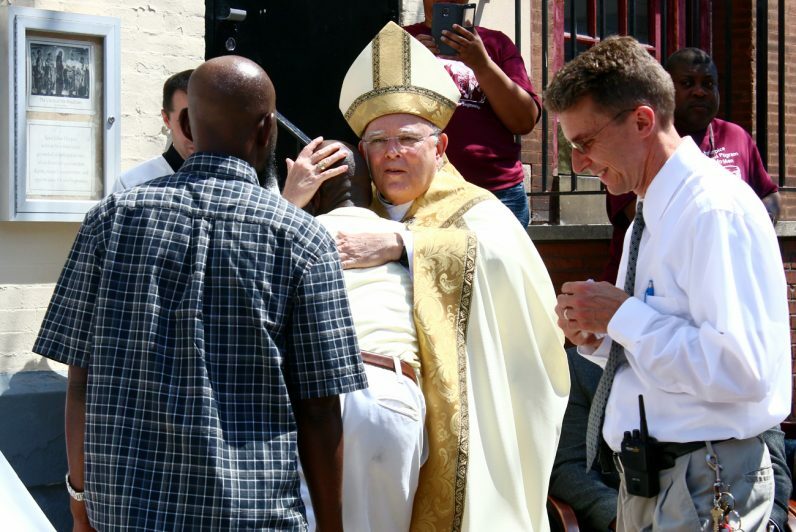 Archbishop Charles Chaput blessed and dedicated Pennsylvania’s first “Homeless Jesus” statue at St. John’s Hospice, a ministry of Catholic Social Services (CSS) of the Archdiocese of Philadelphia, on Monday, July 31 in center city. 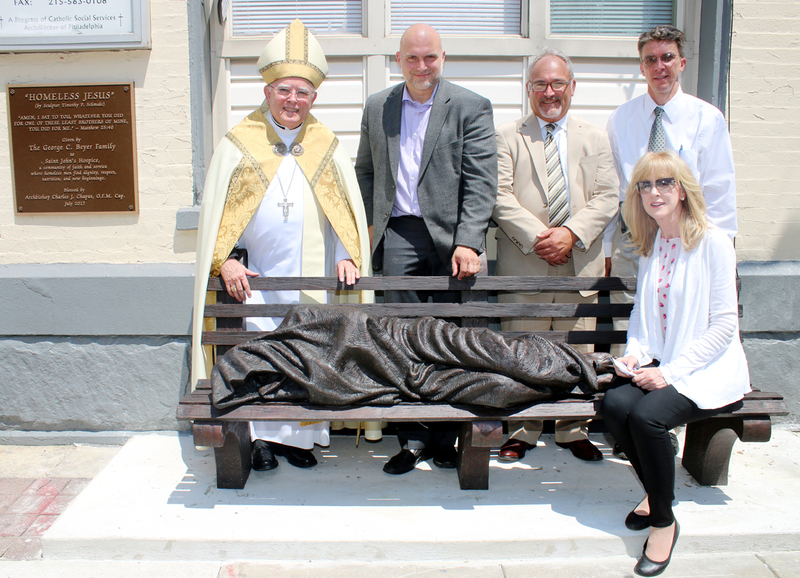 The life-size bronze statue of Jesus, shrouded in a blanket with his face covered and lying on a park bench, was sculpted by Canadian artist Timothy P. Schmalz and commissioned by the George C. Beyer Family. 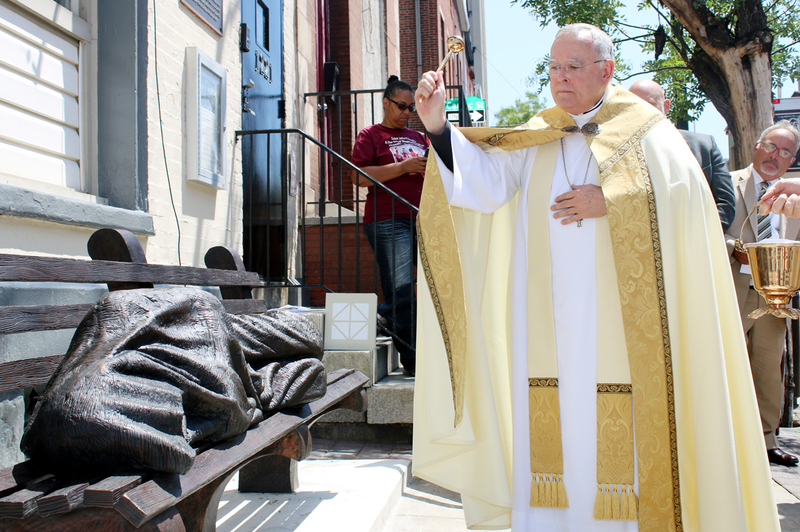 Archbishop Charles Chaput and Canadian artist Timothy P. Schmalz look on as his sculpture at St. John’s Hospice is unveiled. Archbishop Chaput greets the men of St. John’s Hospice. 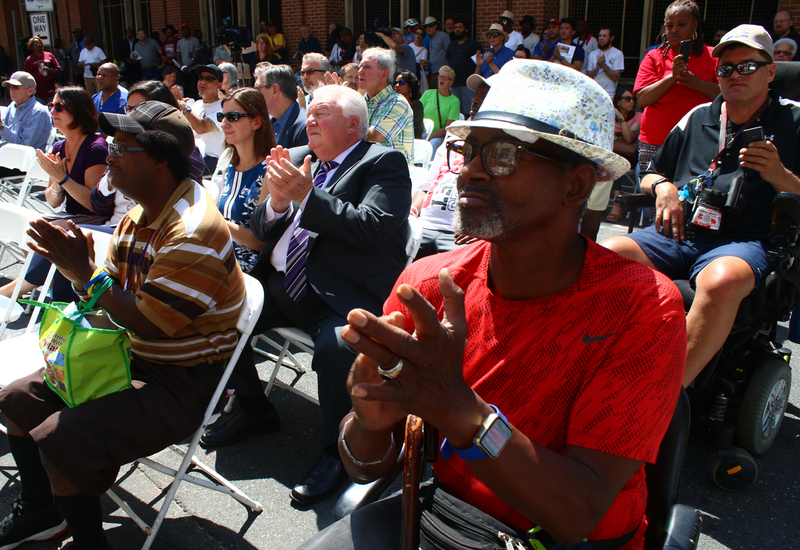 Race Street, which was shut down for the blessing of the statue, was filled with people wanting to see the dedication ceremony. 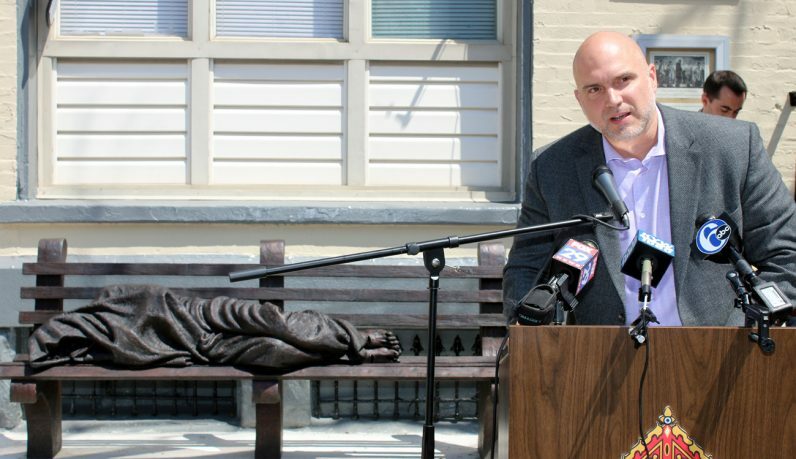 Timothy Schmalz sculpted the life-size bronze statue of “Homeless Jesus,” dedicated in Pennsylvania for the first time. Canadian artist Timothy P. Schmalz presents a small replica of the statue to Karen Beyer, whose family commissioned it. 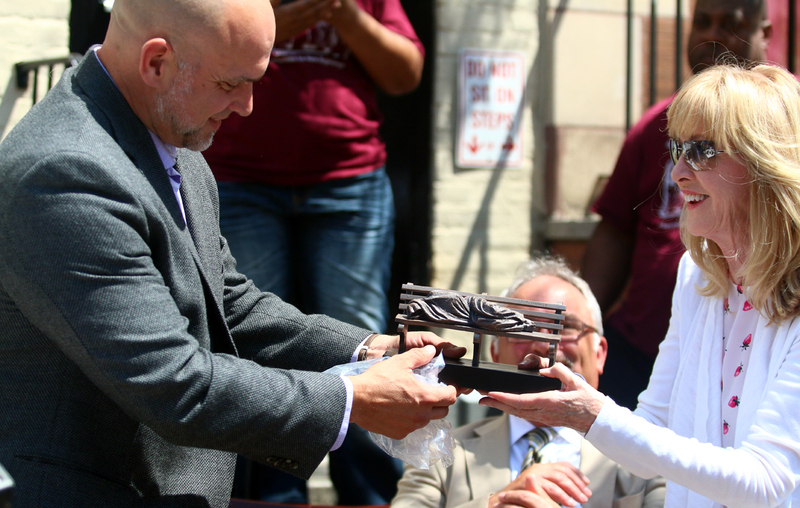 Karen Beyer, whose family commissioned the statue, greets Darnel after the blessing ceremony. 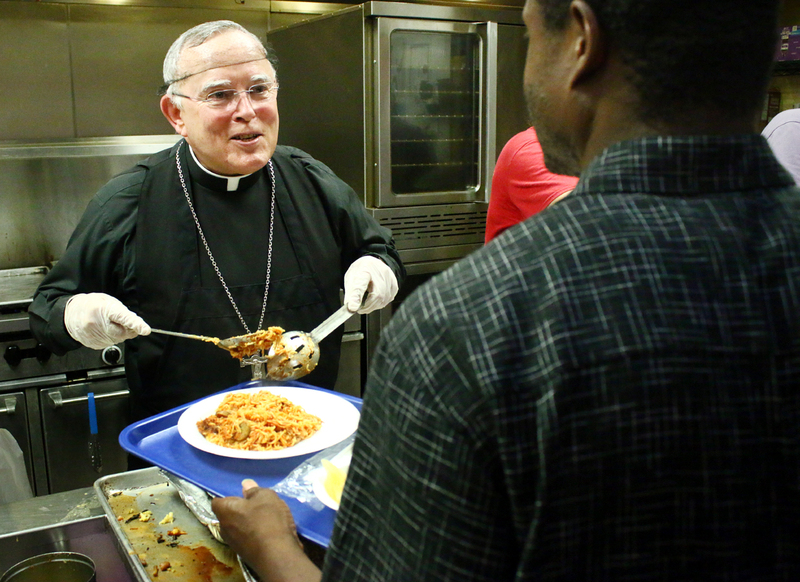 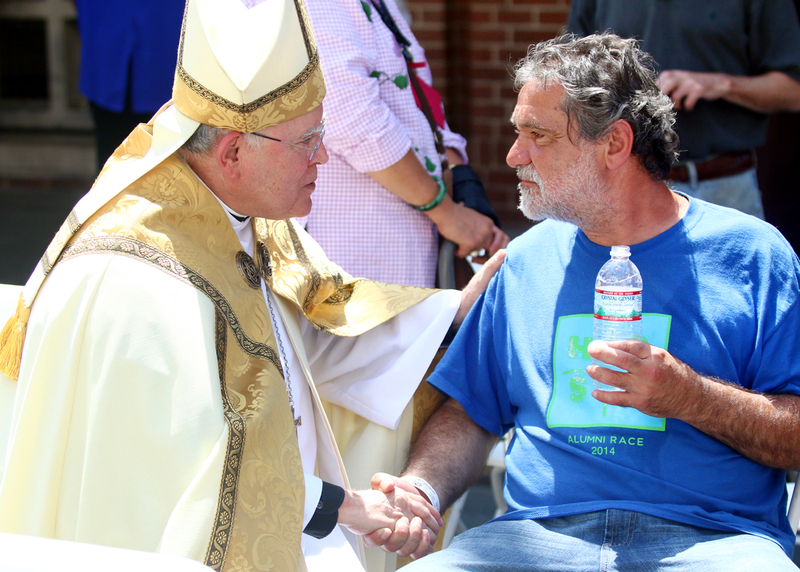 Archbishop Chaput chats with a man who expressed a concern of where people like him will find a place to sleep. 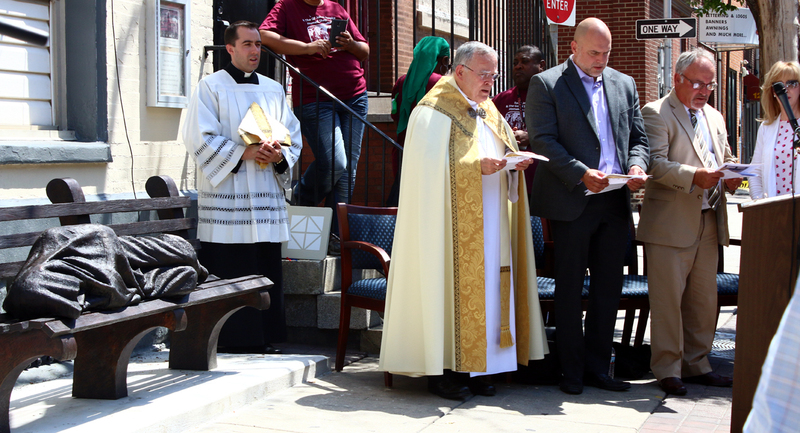 At the dedication of the statue are, from left, Archbishop Charles Chaput, Timothy P. Schmalz, Jim Amato of Catholic Human Services, David Stier of St. John’s Hospice and Karen Beyer of the George C. Beyer Family. 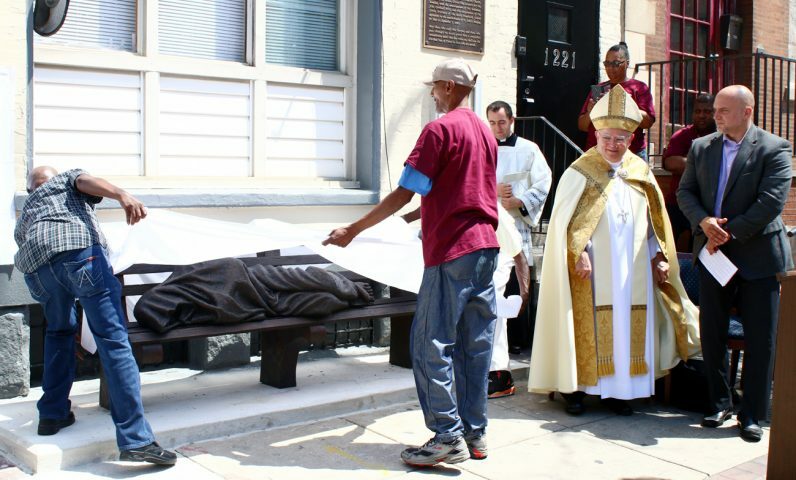 Karen Beyer and her family members serve lunch to the men at St. John’s Hospice after the dedication of the “Homeless Jesus” statue that her family commissioned. 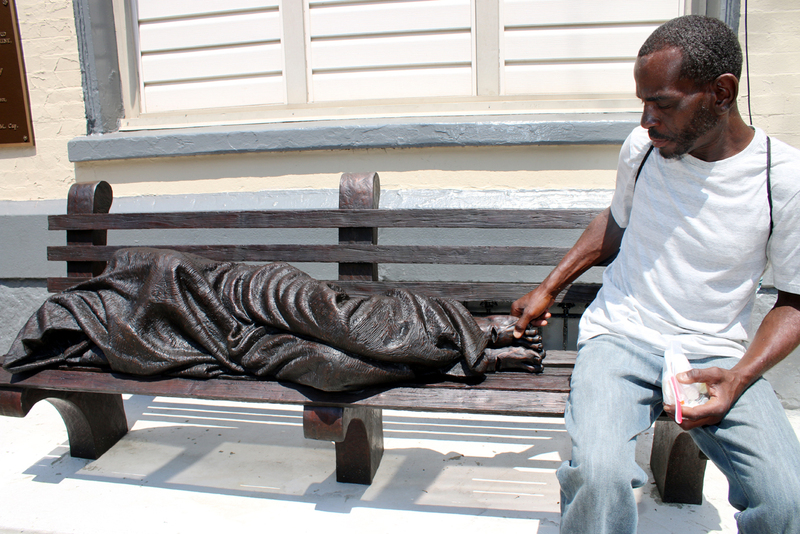 Roger places his hand on the wounded feet of the statue of “Homeless Jesus” after he enjoyed a meal at St. John’s Hospice.